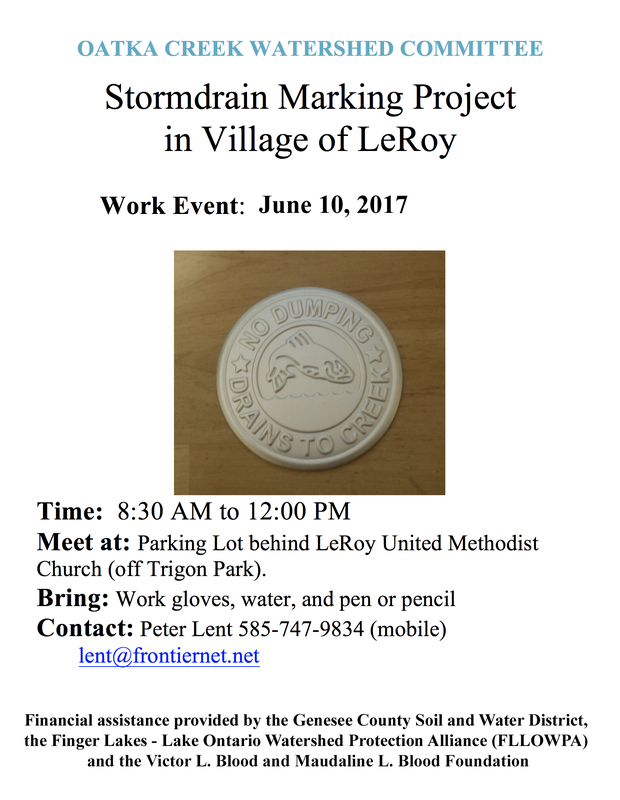 Another Storm Drain Marking Event in LeRoy! 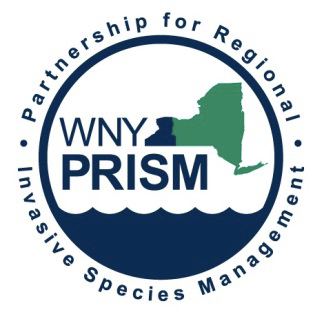 Pete received this information on a summer workshop to learn about some technology in the fight against invasive species in New York State. 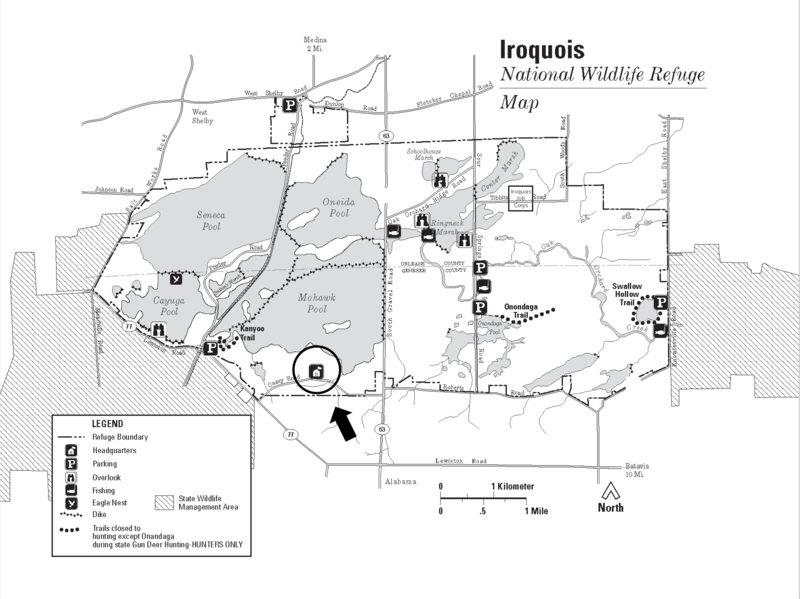 Come hangout at the Iroquois National Wildlife Refuge to learn what you can do. It’s FREE and the cool tool also works on your smartphone! 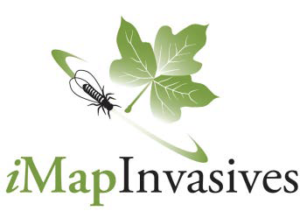 CALLING ALL CITIZEN SCIENTISTS, EDUCATORS, and VOLUNTEERS! 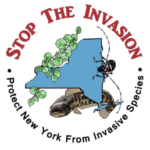 In support of New York State Invasive Species Awareness Week (ISAW), join us to enhance your capacity to identify, document, and control invasives in your community while exploring your local Refuge! What you can do to STOP THE INVASION! 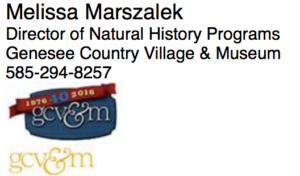 Thank you for your interest in joining Genesee Country Village & Museum for our Trees for Tributaries tree planting event on Saturday, May 6. Here are some additional details for the day. We will meet at 9 AM on the museum’s Oatka Property (entrance directly across from main museum entrance). There will be signs that say Trees for Tributaries Parking to help direct you. Please follow the signs to park. Bring a shovel, work gloves and water/lunch. Dress for the weather and be prepared with rain gear. It calls for on and off rain on Saturday so dress accordingly and think sunshine! I’m optimistic, the weather meteorologists are wrong quite often. Maybe it will be nice out! We may encounter poison ivy, mosquitoes, stinging nettles and ticks. Please wear long pants and if you normally apply insect repellent, that might be a good thing to have on hand. We will lead a tick check at the end of the planting. Something we have become accustomed to doing at the museum’s nature center in recent years. Not to scare anyone off just want you spread awareness and do the best we can to keep everyone safe. Thank you for your help. We all look forward to getting our young trees and shrubs in the ground. Come help plant trees along the Oatka Creek this Saturday. Join us at the Genesee Country Village & Museum where we’re restoring an area where trees had to be taken down due to damage by Emerald Ash Borer. Genesee Country Village & Museum Property on the north side of Flint Hill Road, Mumford NY – More information on parking will be available soon. This Saturday, May 6 at 9:00 AM until we are done! 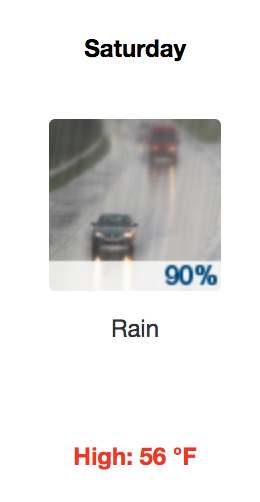 You might want to wear some rain gear, as according to the NOAA, there is a 90% chance of “occasional rain or drizzle” in Mumford on Saturday. And don’t forget that bug repellent – the ticks are especially bad this year!